Although we call this stuff margarine, it's technically a vegetable fat spread if the fat content is less than 70%. 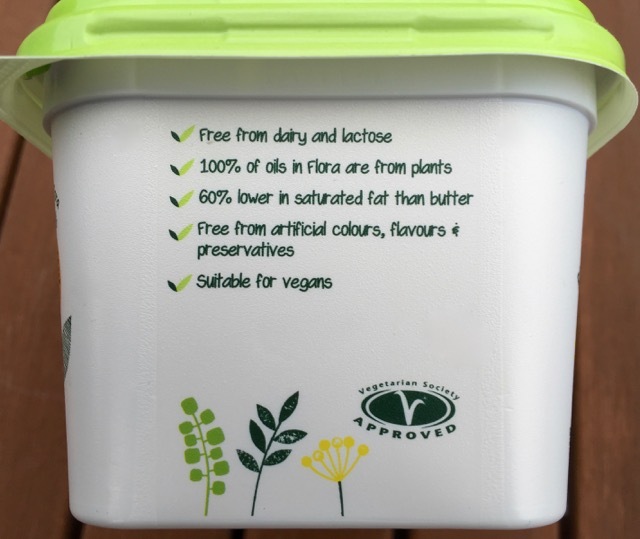 Flora Freedom is 60% fat, made from a blend of rapeseed oil and sustainable palm oil. The make-up of Flora has changed significantly over the years, with the removal of hydrogenated oils and trans-fats, and the switch to healthier oils. Rapeseed oil has a superior omega 3 to 6 ratio compared to sunflower oil. That's all moot, if this stuff tastes awful though. We can allay your fears on that front, as this is probably the best tasting spread on the market. It's rich and a little buttery, but also light and non-greasy. It's quite distinct from Vitalite and Pure. 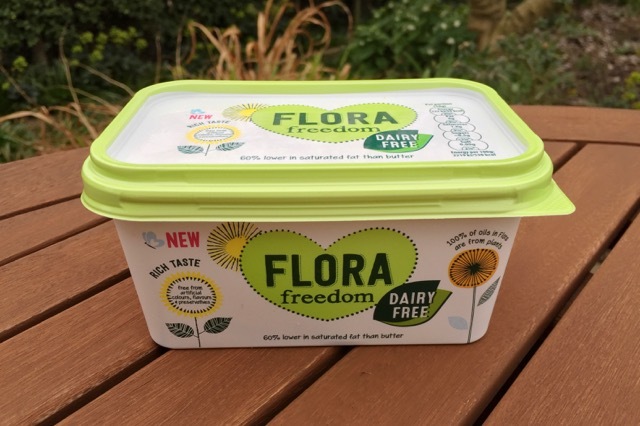 Flavour is a subjective thing, and you might prefer Koko Spread if you like coconut oil, but Flora Freedom is pretty delicious. 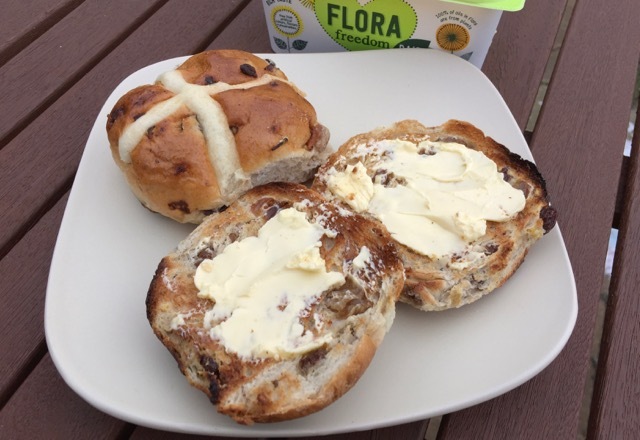 We tested it on giant crumpets and hot cross buns and we loved it! We've saved the controversy until last. This product is made by Unilever, which as a parent company is responsible for animal testing, a requirement for some of their other products in certain countries. Most multi-national companies do the same thing though, so you might need to avoid them all to satisfy your personal ethics. This is an excellent spread/margarine. It's great tasting and less greasy than some margarines. 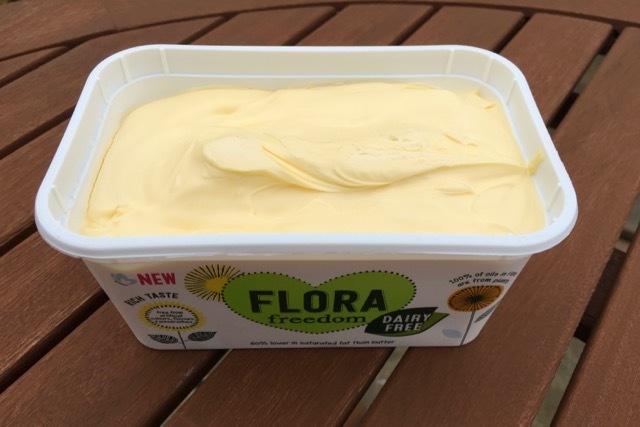 We're pleased that Flora have finally produced a product without dairy residues in it. Whether you support them in their endeavours is up to you. I really like this spread. I've just been reading the stick you are getting on Twitter and you're a lot more polite then I am. I don't know if it's me but Koko products are getting more coconutty by the day. 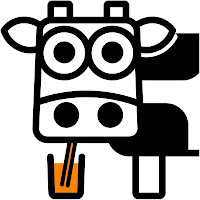 I used to be a big lover of their milk for tea but I can't stand it now. The spread went mouldy very quickly and by the time I threw it out it tasted of almost pure coconut. Oh there's always a tendency to shoot the messenger. Don't worry, we're thick skinned. KoKo does have the benefit of being an independent producer. Koko are a great company, I used to buy their milk by the crate from Suma, but the last 3 packs I've bought have been too coconutty for anything but porridge, and totally ruin tea. I'm not risking it anymore. Do you know, we see that as a positive thing. Vegetable oils had a bad reputation for the last 15 years, thanks to hydrogenated oils and the Omega 6 debate, and we need to make that positive again now that we understand the science better. 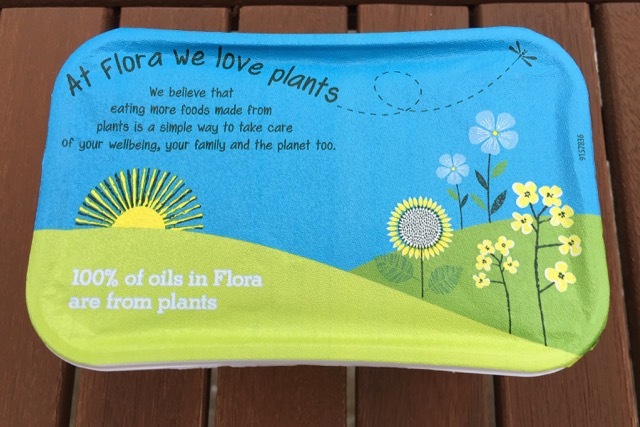 'Plants' is the new positive association and it's only natural that even Unilever would be on board with that. 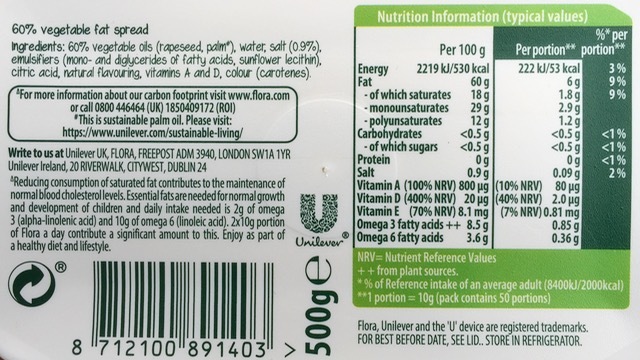 how can unilever claim that all the fats in flora light are of vegetable origin when it contains buttermilk? Flora Light? Dunno, do they? 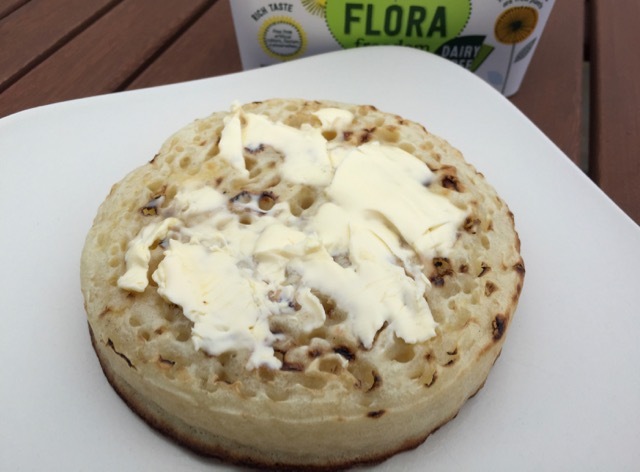 Thanks - exactly what I wanted - a taste test comparing vegan spreads for crumpets and scones. I've just come from Sainsbury's where I started nonplussed at the range. Last time I looked it was just Vitalite and Pura was the new kid on the block. 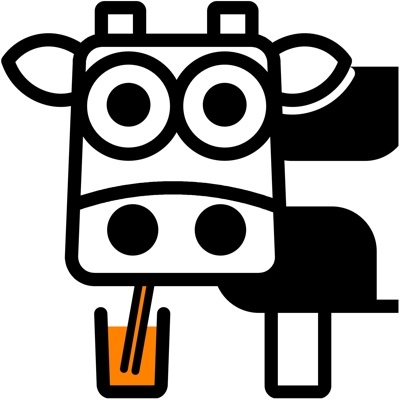 (I did also spot something like atavistic is saying - 'plant powered' badging for products with dairy ingredients).